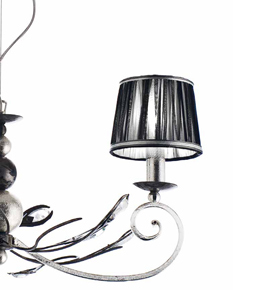 In the Pavone collection you will find lighting fittings created from chrome metal. The stunning details on the arms of these lights give the collection a fascinating contemporary look. This collection includes chandeliers, floor lights, flush fitting chandeliers, table or desktop lamps and wall lights. Pavone is Italian for Peacock.